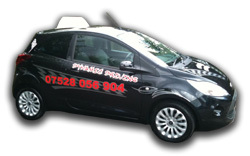 Practical driving tests are generally available at all permanent test centres. 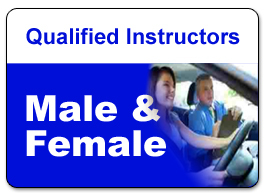 Saturday and weekday evening tests, subject to resources being available, are offered at a premium rate. Non premium rate tests are available at various times between 7.30 am and 3.27 pm Monday to Friday. The test includes an eyesight check (if you fail this, your test will not continue). The eyesight test requires you to read a number plate that is a certain distance away. After the eyesight test you will be asked two vehicle safety check questions. You will then be examined on your general driving and on one reversing exercise. 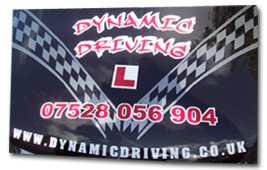 Your practical driving test wil include aprox 10 minutes of independant driving designed to assess your ability to drive safely whilst making decisions independently. You can find source material in the DSA publication 'The official guide to Driving - the essential skills' and 'The official DSA guide to learning to drive'. Advice and information on how to carry out vehicle safety checks can also be found in the manufacturer's handbook. Candidates will be asked two questions, one 'show me' and one 'tell me'. One or both questions answered incorrectly will result in one driving fault being recorded. During the driving test the examiner will ask you to follow the road straight ahead unless directed by road markings. If he wants you to turn left or right he will give you advance warning. Test routes are designed to be as uniform as possible and will include a range of typical road and traffic conditions. During the test, the examiner will ask you to carry out set exercises. You can make up to 15 driving faults and still pass the test (16 or more results in failure). However, if you commit one serious or dangerous fault you will fail the test. If at any time your examiner considers you to be a danger to other road users your test will be stopped. You are allowed to take someone with you on the test, this person must be over 16 years old and cannot take any part in the test. Documents to take along are photocard licence, counterpart, theory certificate and appointment letter.